In our efforts to support the growth of our school and our school wide theme “What sustains us”, Mary, Star of the Sea School has launched an Air Conditioning Campaign “Cool for School”. Our goal is to equip each classroom with 2 – 24000 BTU Split a/c systems; and we would love to have you help us reach our goal.. one unit at a time! The labor and materials to install one unit is $4900.00. In return for your donation, we will be happy to recognize your personal or company contribution on our website , bi-monthly digital newsletter and church bulletin. Upon completion of our campaign, we will re-recognize all our supporters throughout our local social media. CLICK HERE TO ACCESS YOUR DONATION FORM! Mahalo! SAVE THE DATE! For Saturday, February 18th — the 2017 Great Aloha “Run for your School” Keiki Run Event, sponsored by MSOS. A great opportunity to start off the year bonding with family; a fun and healthy way to build school spirit, and 75%of the proceeds to go back to Mary, Star of the Sea School! Please mark your calendars. We hope you can join us! Click on the link below for more information or contact the school at 734-0208. If you’d like to make a direct contribution to the school, please stop by our School Office located on Malia Street and speak with one of our staff members. 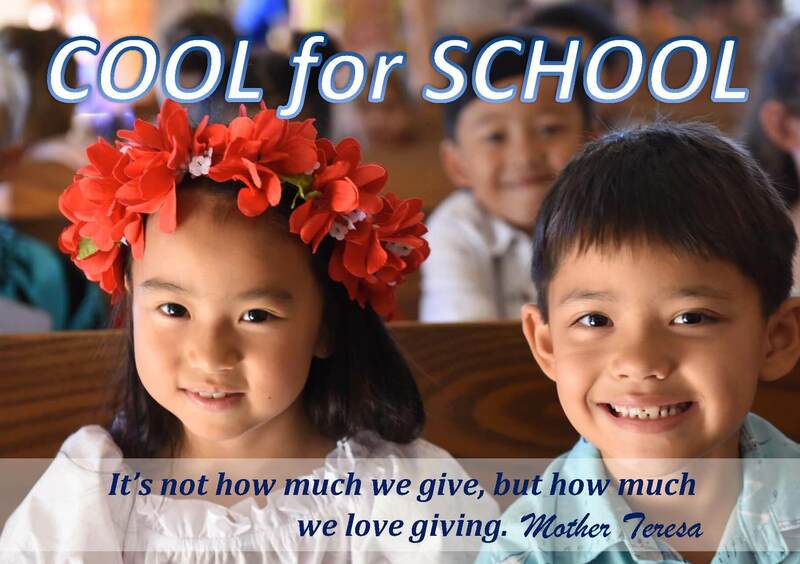 You can donate to the school and even have it earmarked towards one of our programs or fundraisers …. Playground Fund, Music Program, Technology Lab, Fabrication Lab, Science Program, Reading, Sports, and so much more. It’s a great way to promote an area of the school that interests you most. Of course, if you would like it to go into a General fund, we could make that happen as well. Please stop by or fill out the form below and we’ll contact you about donating ….